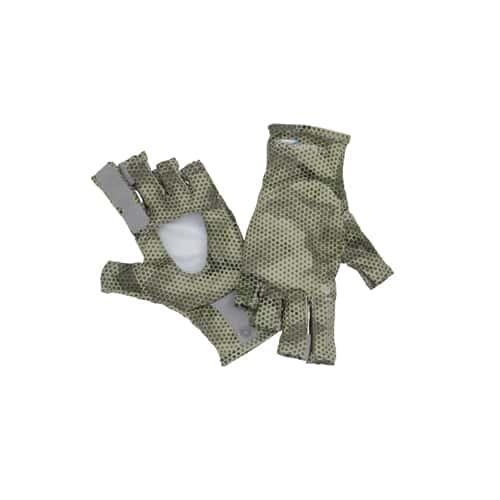 The Simms Solarflex Sun Gloves features improved overall coverage and fit, while a synthetic overlay on the index finger increases stripping durability. Tie knots with ease thanks to the agility-enhanced half-finger design and bolster sun protection via extended coverage on middle and index fingers. When it’s time for your hands to go naked, pairing snaps keep your gloves connected. Gloves fit perfect and work great. THey dry quickly. The extended cuffs make sure there are no gaps to let the sun in. They do snag. So watch it with the hooks.